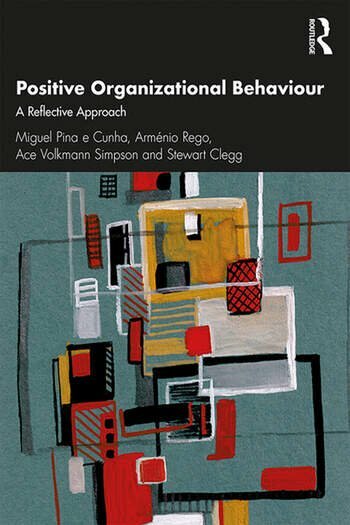 Positive Organizational Behaviour: A Reflective Approach introduces the most recent theoretical and empirical insights on positive organizational practices, addressing emerging topics such as resilience, job crafting, responsible leadership and mindfulness. Other books on positive approaches tend to gloss over the limitations of the positive agenda, but this textbook is unique in taking a reflective approach, focusing on the positive while also accommodating critical perspectives relating to power and control. Positive Organizational Behaviour provides an integrated conceptual framework, evidence-based findings and practical tools to gain an understanding of the potential of positive organizational practices. It is also supported by a companion website for students and lecturers. This innovative new textbook will provide advanced management and psychology students with a grounding in the area, and help them develop strategies for building effective and responsible organizations. Miguel Pina e Cunha is Professor at Universidade Nova de Lisboa, Portugal. Arménio Rego is Professor at Católica Porto Business School, Portugal. Ace Simpson is Senior Lecturer in Management at the Católica Porto Business School, Portugal. Stewart Clegg is Professor in Management at the University of Technology, Sydney, Australia.